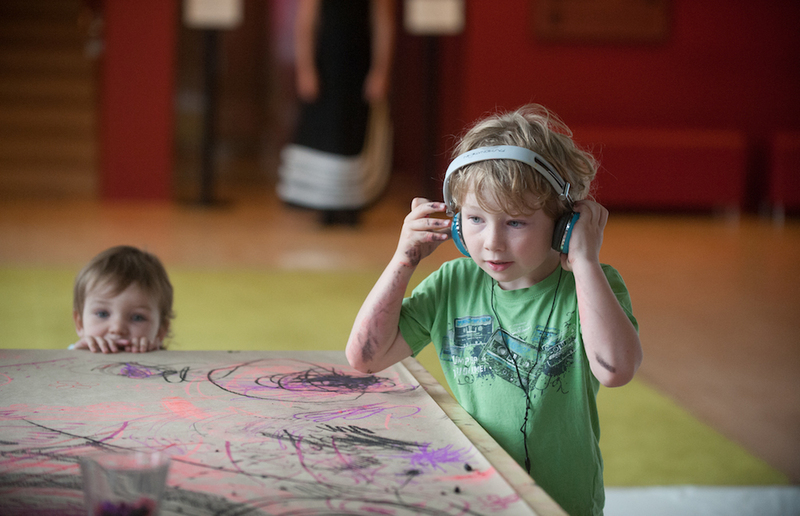 Join us at MPavilion with friends from Melbourne’s Polyglot Theatre for Sound of Drawing, a participatory workshop-slash-performance for visitors young and old. Sound of Drawing combines texture and technology—and the drawings you make at MPavilion—to create a collective art soundscape. It goes a little something like this… Put on a set of headphones and take a seat at a broad drawing table. Through these headphones all will hear the scratches, swirls, tapping and scribbles as you, and others at the table, create individual artistic masterpieces to form a collective work. The sound of pastel on paper is picked up by sensitive microphones and amplified, turning the physical action of drawing into a live soundscape. Everyone will hear their own movement as well as those of the other participants; which sounds really cool when the table is full! Sound of Drawing connects sound, gesture and artistic intention, drawing pure creativity from every participant. The works from each session will be hung on display around MPavilion, and participants are invited to return at the end of the project to collect their piece of this artistic collaboration. Kids with adults in tow can pop-by MPavilion this week only for a morning or afternoon session. Walk-up and get scribbling! All week long from Monday 9 January to Sunday 15 January, Polyglot Theatre will be running two Sound of Drawing events daily: a morning and an afternoon session. This is the afternoon session. For details of the morning sessions, click here. This program is generously supported by Debbie Dadon AM.